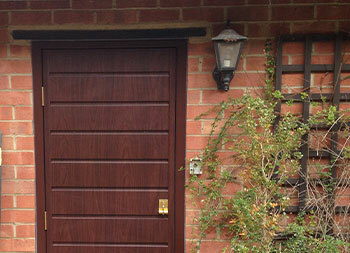 We were contacted last year by a customer in Warwickshire who was looking to update their garage doors. 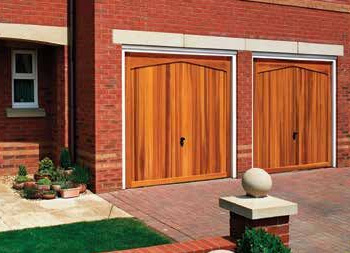 They wanted the main door to be automated but with a wicket door to provide pedestrian access. 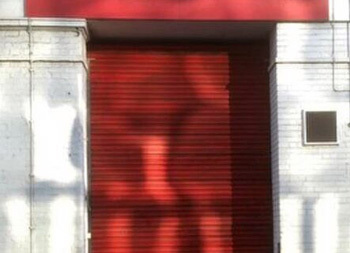 They also needed a smaller pedestrian access door to the side. 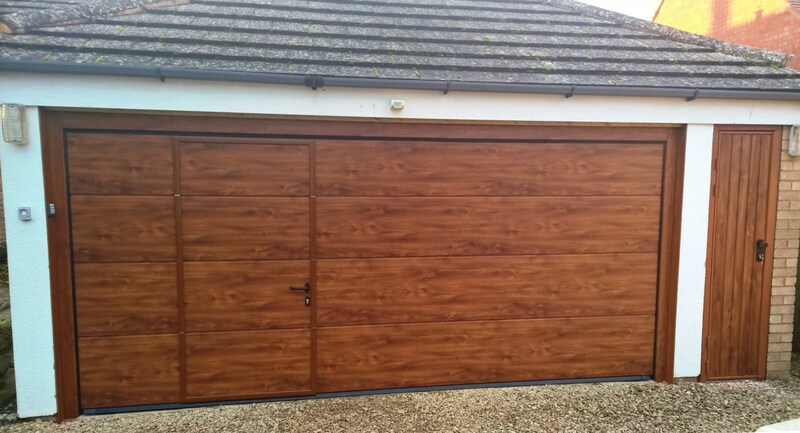 The customer chose the Novoferm iso45 Flush design in Smooth Woodgrain Golden Oak for the main door. 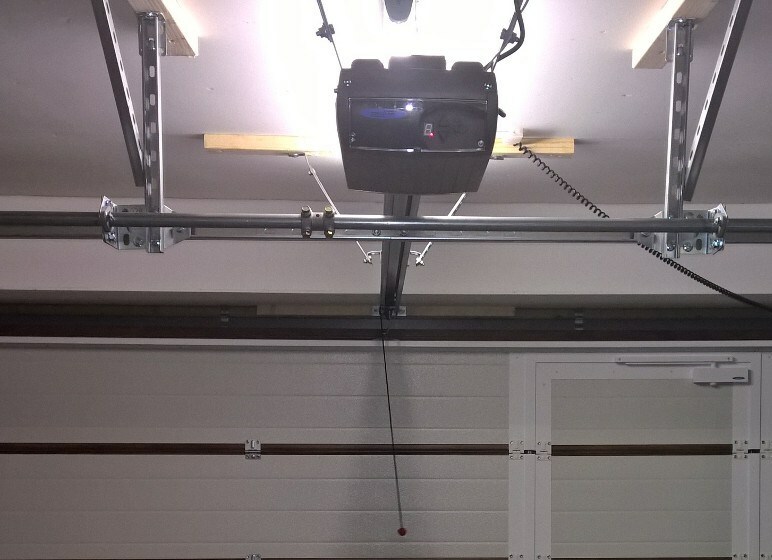 The door opens vertically into the garage and with no ‘kick out’ as it moves. It is double-skinned and fully insulated. 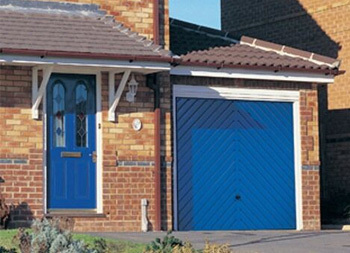 Sectional doors are comprised of individual sections connected together by hinges. 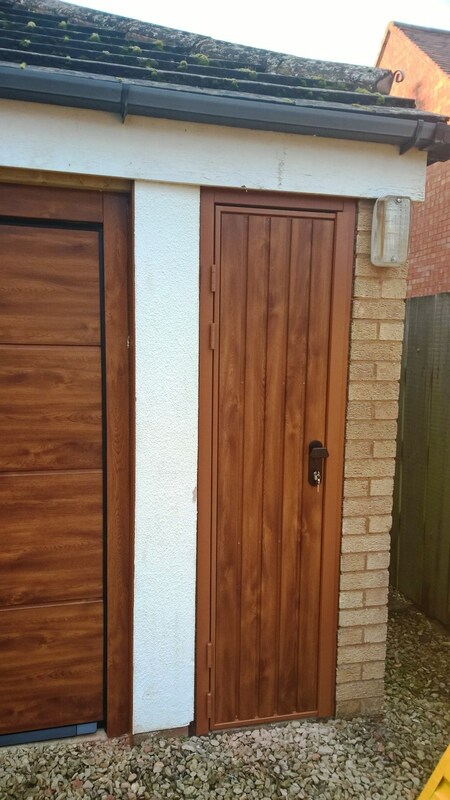 All sections are manufactured from hot galvanized thin steel sheet and provided with a polyester-based pre-finished coat or, in the case of Golden Oak, a durable foil finished coating. 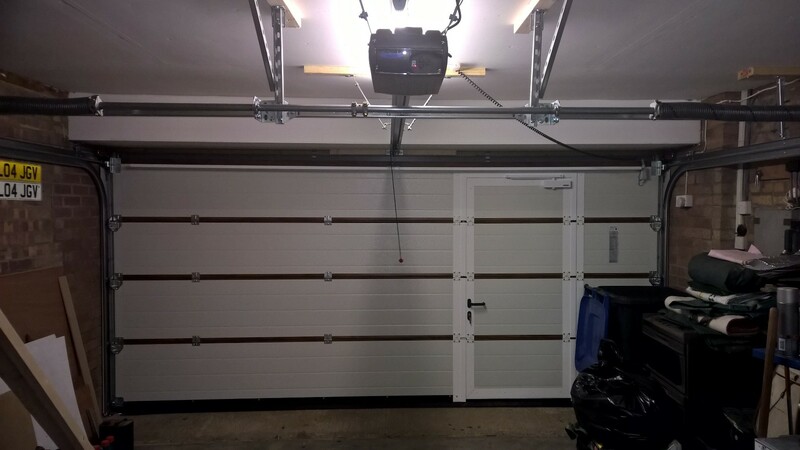 Angular frames, guide rails as well as all fitting parts on the garage door are also galvanised so that no rust can start to form. The flexible lip seals between the sections fit softly even at low temperatures and prevent any heat losses and dust from penetrating. 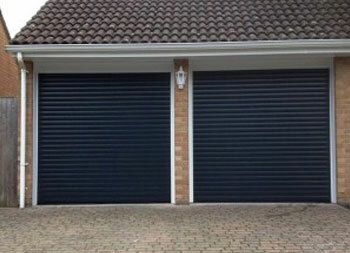 A rubber profile on the bottom edge of the garage door guarantees optimum protection from water and dirt, evens out slight floor unevenness and prevents damage and injuries. The floor seal is made of high-quality EPDM (ethylene propylene diene monomer), which is known for its high elasticity, weather resistance and long life-span. 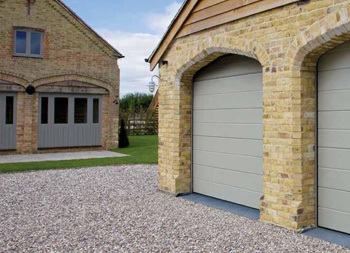 The addition of a wicket door to your sectional door offers a practical passage width of 80cm and provides perfect heat insulation due to the double-skinned insulation used. 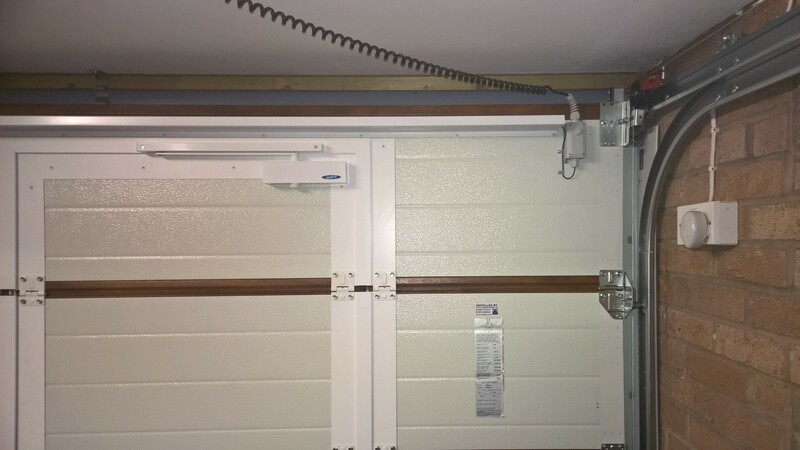 The customer wanted the door automated so we fitted the Novomatic 553 which comes with automatic safety features and will stop and reverse the door operation, when it senses an obstruction, making a safely automated door. 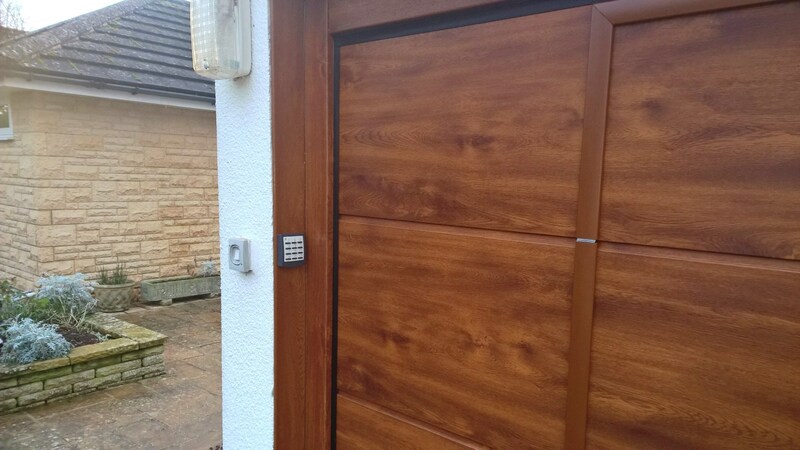 We also added a Wireless Key Pad so the customer doesn’t need to use a remote control, they can just tap in their numerical code and the door will open. 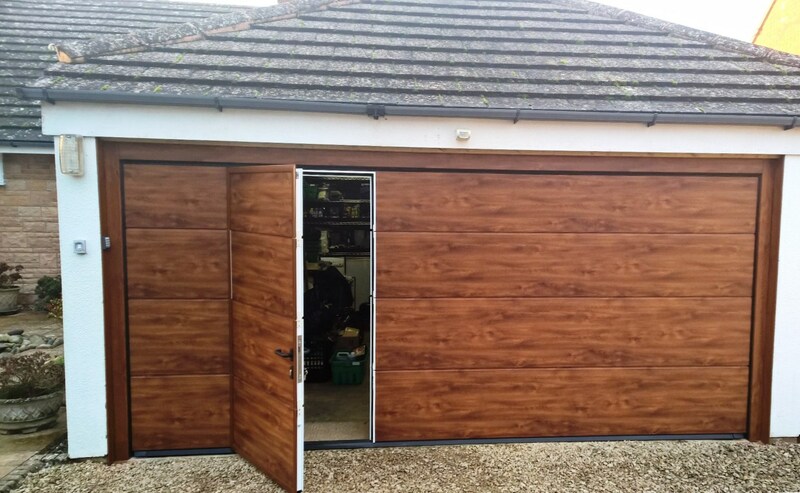 Unfortunately the space for the personnel door was too small to accommodate the matching equivalent and so the customer chose the Cardale Gemini steel personnel door, again in fully finished Golden Oak. 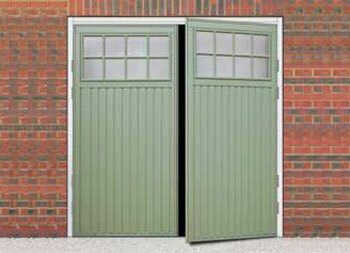 Personnel doors come with secure Euro profile night latch and deadlock and four anti-drop anchored bolt hinges. 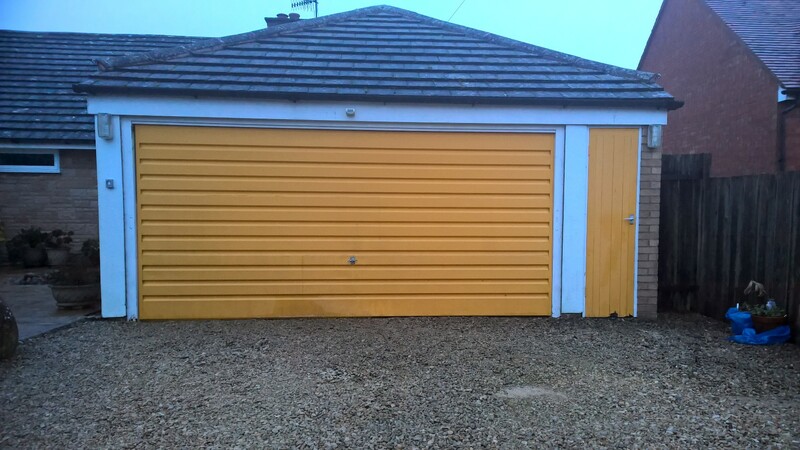 These sectional and personnel garage doors were installed near Shipston on Stour in Warwickshire. 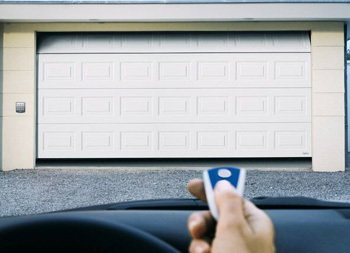 The doors come with a ten year manufacturer warranty and the motor with a five year warranty.